Written by Felipe Azenha & filed in Arts, Cyclists & Pedestrians, Urbanism. It’s no secret that we love bicycles at Miami Urbanist. As many of you know, I have been hired by StreetEasy to help lead the company’s expansion into the South Florida market. Lucky for me, StreetEasy also loves bicycles. In fact, the CEO of our company has purchased bicycles for all StreetEasy employees. Since StreetEasy is new in South Florida we decided to partner-up with the ArtCycle and the Green Mobility Network to sponsor two great Art Basel initiatives. We are sponsoring ArtCycle- an art event created to raise awareness for riders and drivers by promoting wellness and safer streets through an active lifestyle and the arts. ARTcycle’s ﬁrst event will work with renowned sponsored artists who will use 15 bikes as their canvas. In addition, StreetEasy has sponsored the Green Mobility Network bike valet at O Cinema in Wynwood. You will be able to ride your bicycle to Art Basel and park it in a secure location and not have to worry about it while you enjoy all the great art in the neighborhood. Below is more information about ArtCycle, the Green Mobility Network bike valet and events related to biking during Art Basel. 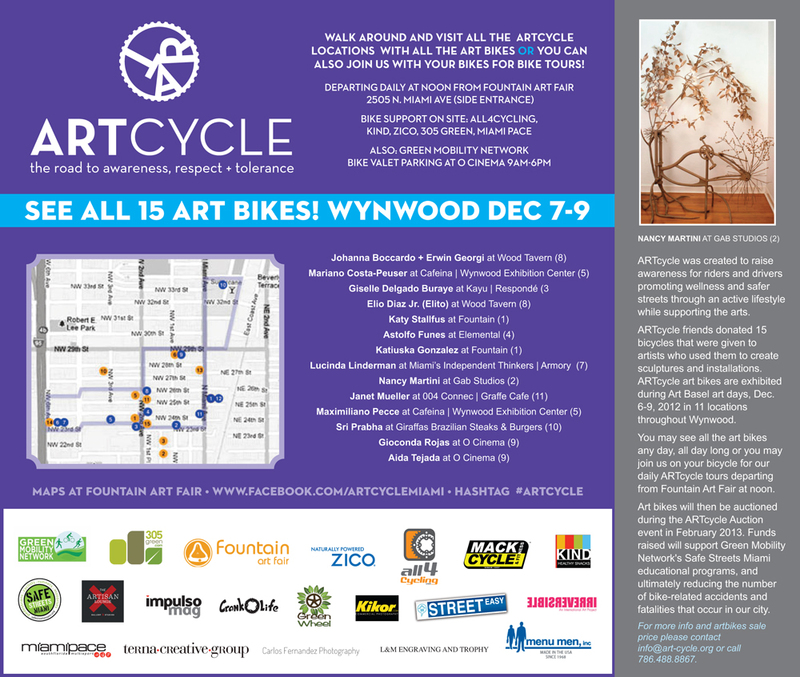 ARTcycle art bikes will be exhibited during Art Basel days, December 7-9, 2012 in 11 locations throughout Wynwood. 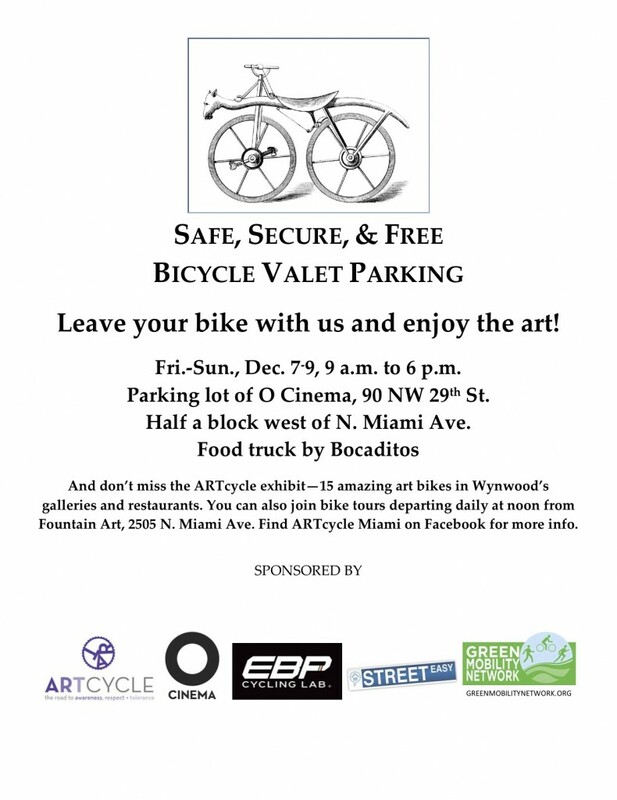 Visitors may see all the art bikes any day, all day long or they may enjoy a bicycle ARTcycle bike tour sponsored by and departing from Fountain Art Fair – 2505 N. Miami Ave December 7th, 8th, and 9th at noon. leave your bike & enjoy the art scene! And as always, you can check out StreetEasy by going to StreetEasy.com/Florida/sales for all things real estate .